Palm Eos Flaunts As The Next Generation Of WebOS Smartphone ! 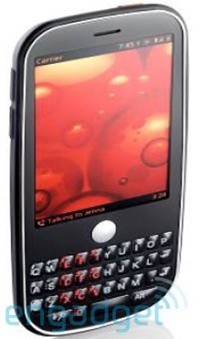 Palm Eos is the zune-third-generation-will-arrive-in-2009/">next generation of Palm Centro from WebOs Smartphone. The thickness of use-your-smart-phone-to-control-your-home-appliances/">this device is just 10.6mm and it offers a QWERTY keypad with quad-band GSM support and dual band fujitsu-flaunts-its-56-inch-umpc-with-a-built-in-hsdpa-module/">HSDPA. Moreover, it brings a microsoft-releases-seadragon-for-iphone-before-windows-mobile/">lot more like, 2.63-inch capacitive touchscreen display with a resolution of 320 x 400 pixels, 4GB of storage, and a GPS watch-high-definition-movies-with-panasonic-tv-receiver/">receiver. The lens of this camera is 2-megapixel focus camera with a flash, stereo Bluetooth (A2DP) and a microUSB port. rough-and-tough-mobile-with-no-questions-warranty-works-in-water-too/">The price of this device is $350.